Tim Kaine, Hillary Clinton's running mate, is returning to Texas next month to raise money for the Democratic presidential nominee. Kaine, a U.S. senator from Virginia, will attend a fundraiser Sept. 22 in Houston and two more the next day in Austin, according to invitations. Tickets start at $500 for the Houston event and one of the Austin events, while it costs at least $10,000 to get in to the other Austin event. Hosts for the fundraisers are still being selected. The high-dollar event in Austin is at the home of Bonnie Mills, a member of the board of Planned Parenthood of Greater Texas. Kaine previously visited Texas earlier this month, making a two-day trip to raise money in Austin, Dallas and Fort Worth. In Austin, he also held an event to thank volunteers for Clinton and the Texas Democratic Party. Tim Kaine has been a familiar face in Texas, a state that is often ignored by the national Democratic Party. 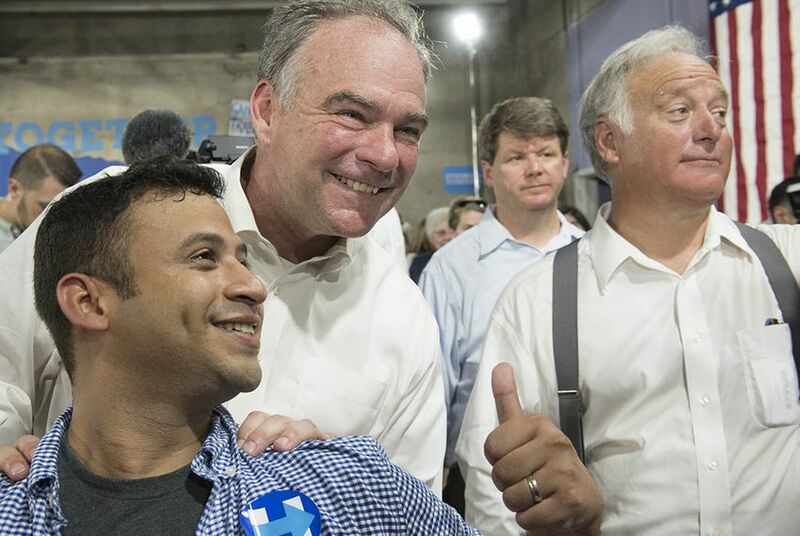 Rallying Democrats in a state that has not gone blue in a presidential election since 1976, vice presidential nominee Tim Kaine declared on Aug. 9 that he and Hillary Clinton are not conceding anything.